Dr KC, who has been fighting for reforms in the medical education sector for years, has warned of staging 16th fast-unto-death if the minister does not quit. He has not given deadline for the resignation. Dr KC has accused Minister Pokharel of working in favor of the “mafia” and the “corrupt”. 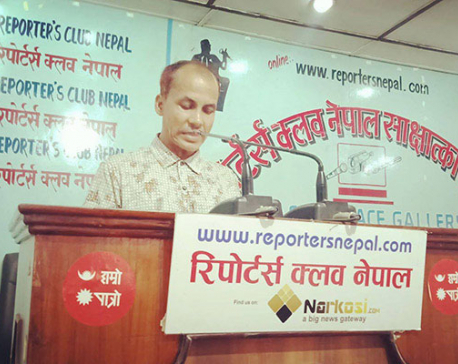 At a press conference organized in Kathmandu on Friday, Dr KC came down heavily on the government for the failure to implement the July agreement signed with him while ending the 15th hunger strike that ended on 27th day. “One of the major points in the agreement was the passage of the Medical Education Act to provide relief to the people living in rural areas and to the medical students,” said Dr KC. “We are seriously concerned as the parliament session ended on September 27 without endorsing the medical education bill,” he added. 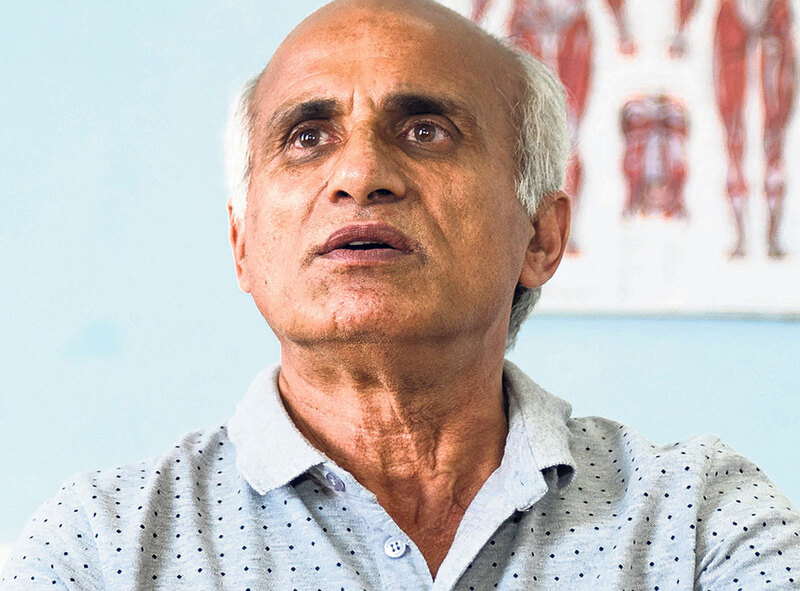 Dr KC, in the statement, said that the medical education has become commercialized due to the involvement of selfish politicians and mafia in the sector. “It is a shame to see a government of two-thirds majority ignoring the demands of the ordinary people. The government has not been serious about implementing the agreement, which was signed in the initiative of Prime Minister KP Oli, former speaker and ruling NCP leader Subas Nembang and ruling party lawmaker Bishnu Paudel among others,” he said. Dr KC further said that it would not be ethical for Education Minister Pokharel, who is also in the Education and Health Committee of the Parliament, to continue to remain in the position of minister if he does not take his responsibilities and commitments seriously. “If the government does not take initiative immediately to address the demands as per the agreement, I will launch 16th hunger strike any time,” he warned. The government in the nine-point agreement signed with Dr KC on July 26, on the 27th day of his 15th fast-unto-death, had promised to form a high-level commission and bring the Medical Education Act by incorporating all the suggestions of Dr KC, who staged hunger strike for over 190 days in the course of his 15 fast-unto-death protests since 2012, demanding reforms in medical sector. According to the agreement signed with Dr KC on July 26, the major demands were to be addressed from within 15 days to two months. The Medical Education Ordinance, which the bill will replace, included 75 percent scholarships for government medical colleges, no opening of new medical colleges in Kathmandu Valley for 10 years, restriction of affiliations issued by a university to only five medical colleges, three years of hospital operation before a medical college becomes eligible for affiliation, and the opening of at least one government medical college in each of the seven provinces. 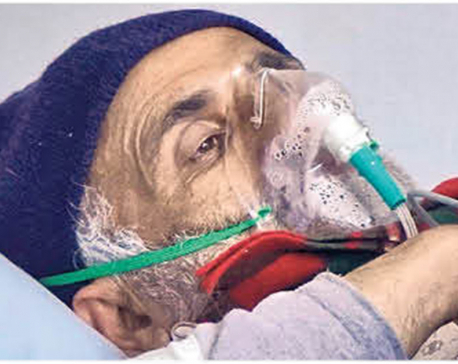 During his last hunger strike, Dr KC presented a seven-point demand including the bringing of a Medical Education Act without any special changes, immediate commencement of MBBS classes at Karnali Academy of Health Sciences, immediate publicizing of the report of a probe commission led by Gauri Bahadur Karki and taking of action against the culprits named, revocation of the ban on staging protest at Maitighar, and scraping of the TU decision taking away certain powers of the IOM. The other demands are implementation of a report prepared by the official standards determination committee headed by the University Grants Commission chairman, compulsory service for two years for MD scholarship students, free MD classes in all private medical colleges, opening of government medical colleges in Province 2, at Panchthar-Ilam and Dadeldhura-Doti and in Udayapur, and expediting work at the Rapti Academy of Health Sciences and Geta Medical College.